Some of the winners of the 84th Oscar night were shoo-ins, while others may have scored an upset. One of them is Meryl Streep. 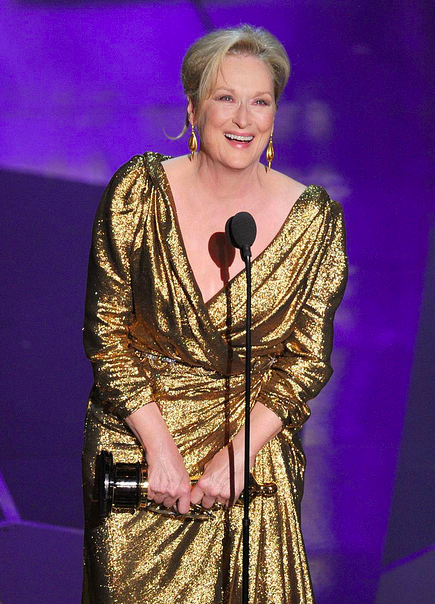 Streep, who was not a favorite to win Best Actress for her role as Margaret Thatcher in "The Iron Lady," took home the prize. This is her third statuette after a record of 17 nominations. Many were actually rooting for "The Help" actress Viola Davis, who had already won a Screen Actors Guild Award and a Critics Choice Award for the same movie. What's interesting about the winner of the top prize, Best Picture, was that the film was a silent movie and shown in black-and-white. The movie was only the second silent movie that won an Oscar for Best Picture since 1929, the first time the awards were given out. 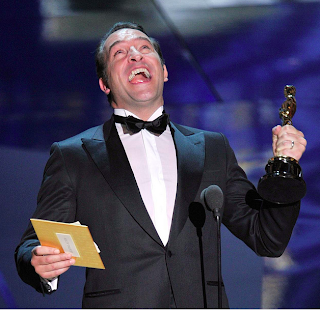 The lead actor of the movie "The Artist," popular French actor Jean Dujardin, took home the Best Actor trophy. This was not a first time win for a non-American actor or actress and it would not be the last. Although the Oscar Awards has always been viewed as an American event, it continues to acknowledge talents from all over the world in its different categories. Oscar is the nickname of the prestigious award given out by the Academy of Motion Picture Arts and Sciences or AMPAS. Back in May 11, 1927, AMPAS was established by a group of film studio bigwigs who wanted to create an elite organization that would help improve the image of the film making industry and serve as mediators during labor disputes. The AMPAS headquarters is in Beverly Hills, California. The professional organization dedicates itself to the advancement of motion picture arts and science. AMPAS is not only concerned about the acting side but also the other craft branches like directing, producing, script writing, cinematography, editing and more. Members are mostly from the United States. However, filmmakers outside of the US can also seek membership in AMPAS for as long as they are deemed qualified to join the prestigious organization. Today, AMPAS has more than 6,000 members. Each year since 1929, the Academy has been giving out awards of merit specifically for distinctive achievement in specific film making related categories. Many changes in the nomination, voting system and announcement of winners have occurred since the first awards were given to ensure that the gold statuette is bestowed only to the most deserving individual or individuals for their work of the previous year. The formal awarding ceremony is well known worldwide and is now shown annually in over 100 countries around the end of February or the beginning of March. The Oscar statuette's official name is the Academy Award of Merit. 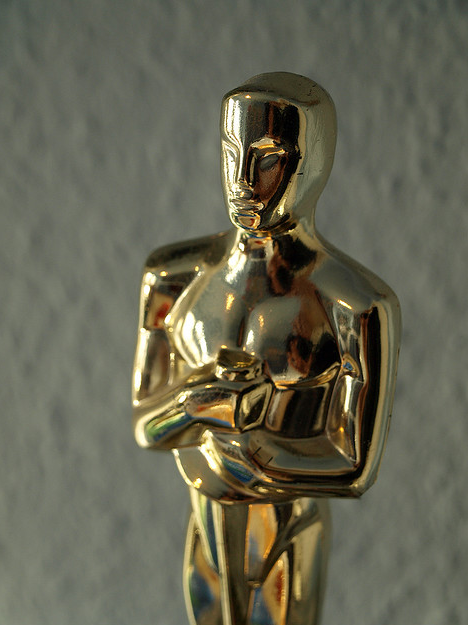 There are several stories concerning how the statuette got its nickname Oscar. But to the winners, the origin of the award's name is probably of no consequence. They may be more concerned about where to place their 8-1/2 pound, 13-1/2 inch high gold statuette home. Two films dominated in this year's Academy Awards with five Oscars each: "The Artist" and "Hugo." "The Artist" received the coveted Best Picture, Best Actor, Best Director, Best Costume Design, and Best Original Score. The prestigious award giving body may not be as inclusive as the United Nations but still it has recognized quite a number of non-American talents in the past and it will continue to do so for as long as Academy rules are adhered to and the person or persons truly exemplify excellence in their respective fields. A big number of non-American directors have been nominated and consequently won Best Director nods for their excellence in film direction. In the acting categories, ideally, Academy voters look for standout performances when choosing Oscar winners regardless of nationality. Actors and actresses born outside of the US and/or holding non-US passports (or have dual citizenships, with one being American) have also been recipients of Oscar awards. In this year's Best Actor category, Jean Dujardin ("The Artist") received the much-desired Oscar, the first Frenchman to do so. Before him were Australians Peter Finch (who was born in England) and, Geoffrey Rush and Russell Crowe (who were born in New Zealand), Maximillian Schell and Paul Muni (Austria), Sidney Poitier (The Bahamas), Emil Jannings (Germany), Paul Lukas (Hungary), Daniel Day-Lewis (dual citizenship of the Republic of Ireland and the U.K.), Roberto Benigni (Italy), Jose Ferrer (Puerto Rico), Yul Brynner (Russia) and from the U.K. George Arliss, Charles Laughton, Ronald Colman, David Niven, Victor Mclaglen, Robert Donat, Laurence Olivier, Rex Harrison, Ray Milland, Anthony Hopkins, Paul Scofield, Alec Guinness, Ben Kingsley, Jeremy Irons, and Colin Firth. For Best Actress, the most recent recipient who was not American by birth was Marion Cotillard of France. She won for "La Vie en Rose" in 2008 during the 80th Oscar Awards. Cotillard has the distinction of being the first individual to receive an Oscar for her French language performance. Other winners were Nicole Kidman (citizen of both the US and Australia), Marie Dressler, Mary Pickford and Norma Shearer (Canada), Claudette Colbert and Simone Signoret (France), Luise Rainer (Germany), Anna Magnani and Sophia Loren (Italy), Natalie Portman (a citizen of both Israel and the US), Audrey Hepburn (The Netherlands and the UK), Charlize Theron (South Africa, now an American citizen), Ingrid Bergman (Sweden), and from the UK, Olivia de Havilland, Greer Garson, Joan Fontaine, Glenda Jackson, Julie Andrews, Vivien Leigh, Julie Christie, Elizabeth Taylor (dual citizenship UK and US), Maggie Smith, Helen Mirren, Jessica Tandy, Emma Thompson and Kate Winslet. Christopher Plummer, best known for playing Georg Ludwig Von Trapp in "The Sound of Music" and this year's winner of Best Supporting Actor for "Beginners," hails from Canada. 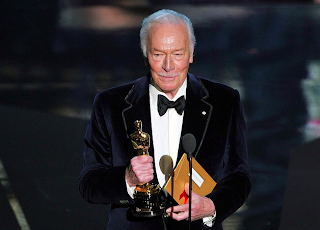 On a side note, at 82 years old, Plummer has the distinction of being the oldest recipient of the Academy Award. Other international winners in this category were Heath Ledger (Australia), Joseph Schildkraut and Christoph Waltz (Austria), Haing S. Ngor (Cambodia), Barry Fitzgerald (Ireland), Anthony Quinn (Mexico), Benicio del Toro (Puerto Rico), Javier Bardem (Spain) and from the U.K Edmund Gwenn, Hugh Griffith, John Mills, George Sanders, Donald Crisp, Peter Ustinov, Sean Connery, Michael Caine, Him Broadbent and Christian Bale. Non-American Best Supporting Actress winners in the past were Cate Blanchett (Australian), Anna Paquin (New Zealand/Canada), Juliette Binoche (France), Katina Paxinou (Greece), Brenda Fricker (Ireland), Miyoshi Umeki (Japan), Rita Moreno (Puerto Rico), Lila Kedrova (Russia), Penelope Cruz (Spain) and the following from the U. K. Peggy Ashcroft, Wendy Hiller, Margaret Rutherford, Maggie Smith, Judi Dench, Rachel Weisz, Catherine Zeta-Jones, and Tilda Swinton. 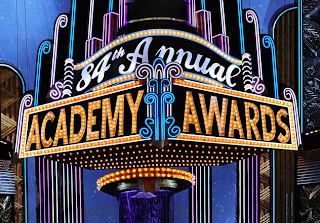 There were two years in the history of the Academy Awards when Europeans lorded over the acting awards. During the 1964 37th Academy Awards, the winners were British Rex Harrison, Julie Andrews and Peter Ustinov, and Russian Lila Kedrova. For the 2007 80th Academy Awards, the top acting awards recipients were non-Americans – British and Irish Daniel Day-Lewis, French Marion Cotillard, Spanish Javier Bardem and British Tilda Swinton. The Best Foreign Language Film Award, an Academy Award for Merit, was first given in 1957, during the 29th Academy Awards. The award for this category is given to the country (as represented by the film's director) rather than to a specific individual or group. Prior to 1957, foreign language films were only given a Special or Honorary Achievement Awards. The Academy's definition of a foreign language film is a full-length feature film not produced in the U.S. and primarily contains non-English dialogue. A foreign language film can be nominated for other categories granted it has been released commercially in the Los Angeles County and the film adhered to other special rules for those categories. Records show that as of 2008, a total of 24 foreign language movies have received Oscars in non-Best Foreign Language Film categories. None have received an Oscar for Best Picture, yet (with only five making it to that category). In 2000, the film "Crouching Tiger, Hidden Dragon" from Taiwan received the most number of nominations, 10 to be exact, including Best Picture. It won 4 Academy Awards. "Fanny and Alexander," a film from Sweden, also won 4 Academy Awards. "Letters from Iwo Jima" (Japanese) is the last foreign language movie to receive a nomination for Best Picture. That was in 2006. This year's winner is from Iran, a moving domestic drama entitled "A Separation." This movie bested Belguim's Bullhead, Israel's Footnote, Polland's In Darkness and Canada's Monsieur Lazhar. Italy has won the most number of Best Foreign Language Film Awards with 13 gold statuettes, followed by France with 12, Spain and Japan with 4 each, and Sweden, Soviet Union, Denmark and The Netherlands with 3 awards each. European films have received the most awards in this category. But as film making becomes more sophisticated in countries outside of Europe in terms of writing, acting, directing and other aspects, one can only hope that more foreign language films from Asia and other continents will be nominated for the category of both Best Foreign Language Film and Best Picture. 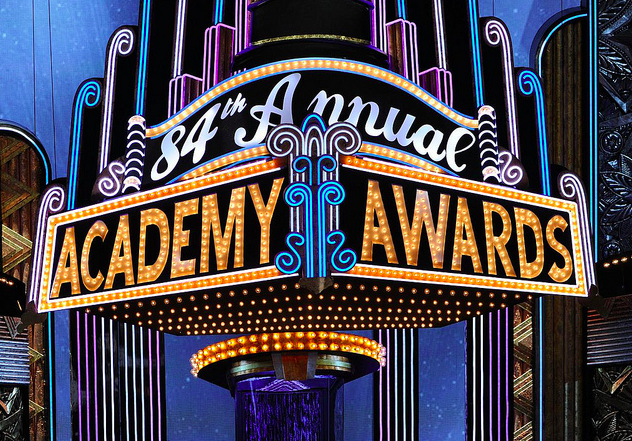 The Academy Awards remains to be a most anticipated event in Hollywood by anyone who loves films, whether they are part of the movie industry itself or are simply moviegoers or the occasional Hollywood kibitzers. The Oscars and its parent organization AMPAS will always have their share of supporters and critics from all corners of the globe. But one thing will remain the same, among all the other award giving bodies in the U.S. and elsewhere, only the Oscars can deliver so much star power, so much excitement and so much controversy. After all, where else can you find the likes of Steven Spielberg, Martin Scorsese, Meryl Streep, George Clooney, Brad and Angelina and many more talented and respected Hollywood heavyweights sharing the night with an adorable and equally talented canine named Uggie from "The Artist", a world famous green amphibian named Kermit, and THE fabulous pink swine Ms. Piggy? Only at the Oscars!